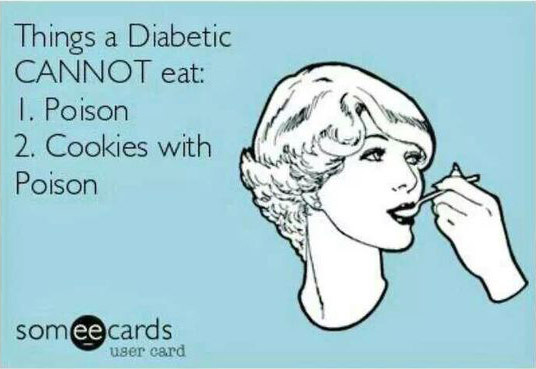 Because no two days with type 1 diabetes are the same. Except when they are. "I love deadlines" (as Douglas Adams used to say) "I love the whooshing sound they make as they fly by." 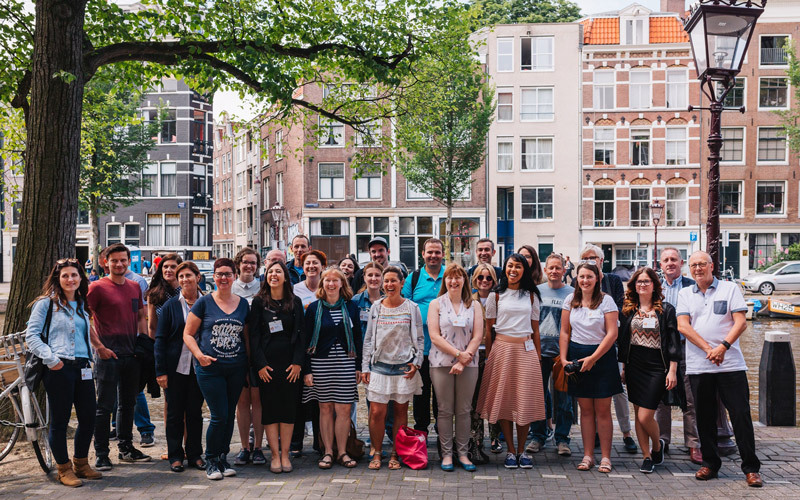 If I had set myself a reasonable time limit to write some reflections on my time at Dx Amsterdam in June I suspect it would have been rather sooner than this. But even though this is rather late, there were some bits and pieces I picked up over that weekend that have stayed me since, and while I now have several other blog posts jostling for position in my head, I've decided that this post is better late than never. I was really lucky to be picked out of a hat and selected as part of a 7-person UK contingent at Dx Amsterdam, which gathered 21 bloggers from the UK, Ireland, Netherlands, France, Germany, Spain, Belgium, Poland, Greece, Sweden and Turkey in the wonderful city of Amsterdam for a weekend of friendship, conversation, shared experiences, learning, support, wobbly bike rides, and the dreaming of dreams. 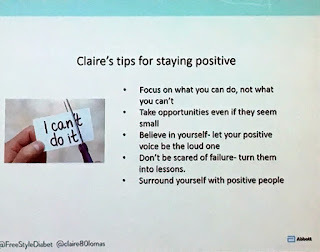 There were lots of opportunities for us to chat and exchange experiences together over the weekend, and just like the Dx event I was lucky enough to attend in Stockholm there were useful and inspiring presentations - from practical things like taking better photographs, to the astonishing and humbling story of Claire Lomas and how she adapted to life paralysed from the chest down. 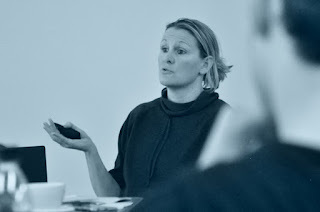 Mercifully, Abbott are careful at these events not to bombard us with announcements and product news - it's really more of a chance for us to learn and grow together as bloggers and to make connections across international boundaries. However once you've got some real actual Abbott peeps in a room, there are inevitably questions you want to ask and things you want to find out. 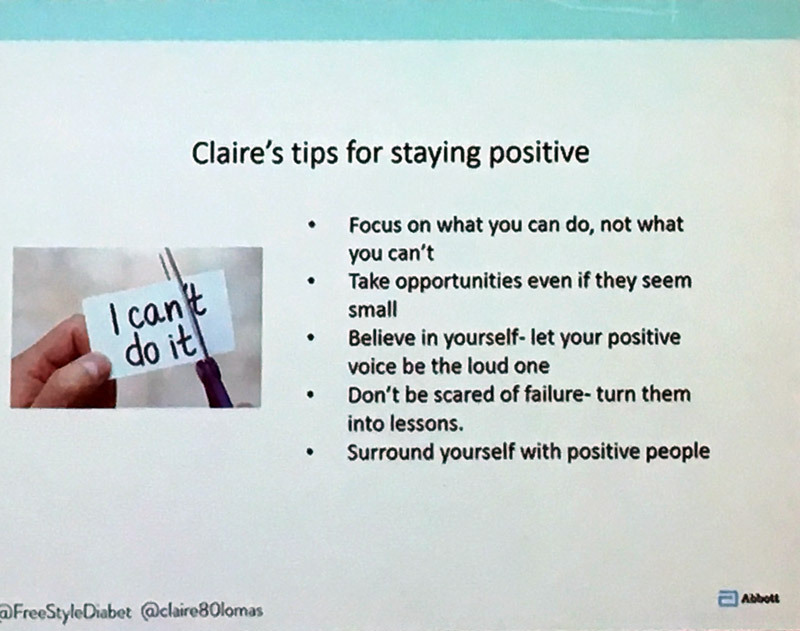 For the UK folks, there was a brief breakfast meeting on Sunday which included updates on the tantalising prospect of getting the Freestyle Libre available on prescription on the NHS, which seems to be creeping ever closer (including a new campaign by Diabetes UK as the discussions and tortuous process seem to be nearing a final decision). It is interesting that the Libre is already fully or partially reimbursed in 9 countries across Europe. But the thing that my mind keeps returning to following the weekend was the presentation of analysis Abbott have done on their anonymised real-world data which Tim gave on Saturday afternoon. As Libre users may (or may not!) be aware, when they connect their reader to the computer to access the PDF reports and swanky graphs a de-identified anonymised copy of their data is also uploaded to Abbott. I remember some people being a bit huffy about that early on, but if I'm honest it has really never bothered me, as long as the data is completely anonymous (which it is) I don't mind Abbott having a set of my random BG craziness to see how their gizmo is working out in the real world. And it is an absolutely massive dataset, almost 400 million data points from 55,000 users over 20 months. What I found really interesting was some of the observations Abbott were able to make by analysing and filtering the data. The average number of scans per day per user is much higher than they had originally imagined. On average Libre users check their glucose 16 times every day. 16 times! A number of checks that would be unsustainable, or at the very least very uncomfortable and tiresome with traditional fingersticks. Additionally, while there are a few people that hardly scan at all, there is a real cluster at that 16x a day level, and many, many users who check between 20 and 30 times a day or more. 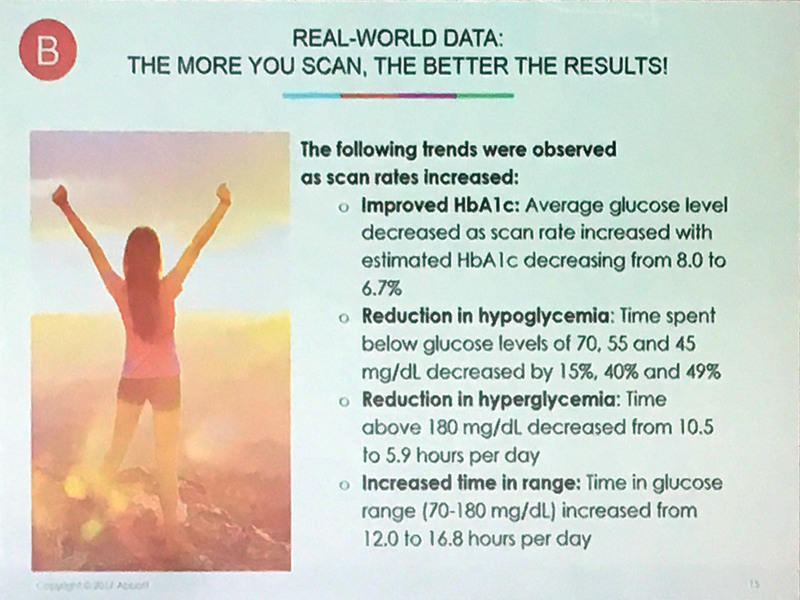 Abbott were also to stratify their results and confirm that people who scan more often are more likely to see reduced glucose variation when compared to those who scan less frequently. There are also observable improvements in the three biggies: reduced hypoglycaemia, reduced hyperglycaemia and increased time in range. 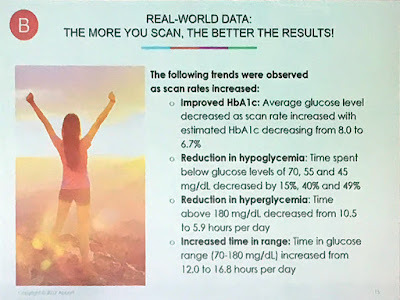 Well, of course, the truth is that because of the way these data were collected no one can really know for certain (though there are plenty of anecdotal accounts from people who report their HbA1c reducing alongside Libre use). But I still find the data compelling. After all HbA1c is really only a proxy for glucose management, average blood glucose and time in range. 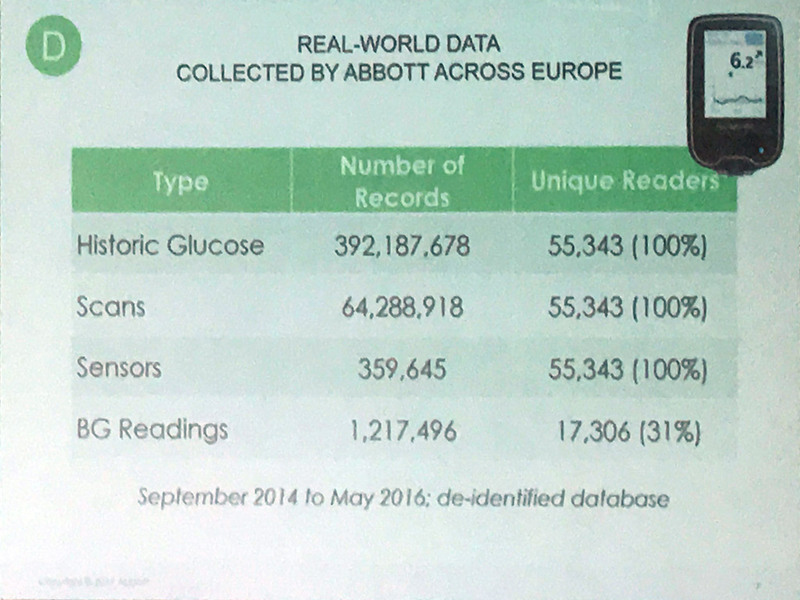 The very things the Abbott real-world data is actually collecting. At the moment HbA1c tends to be the focus of many academic/research studies at least in part because it is relatively easily collected, standardised, and has a long history going back to DCCT analysis that offers the promise of reduced complication risk. It also makes it easy to compare multiple studies by using the same HbA1c outcome. 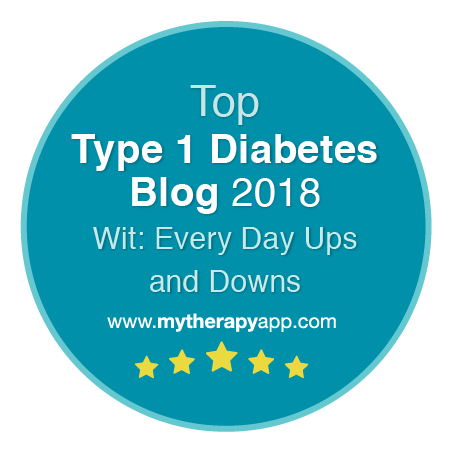 But I know I'm not the only person with diabetes to know that A1c is often a pretty poor indicator of what is actually going on day-to-day, and that the number you get does not always reflect the average BG or variation you are seeing. I am aware that some will see these 'real world' data gathered by Abbott as a poor relation when compared to a 'proper' randomised controlled trial. There is no proper structure, no control group, no baseline data, no monitoring and observation of what is going on, no assessment of the relative education and support (or otherwise) of participants. But actually I think personally that is exactly what gives these data their real power. These are the numbers of ordinary individuals at all different stages of their diabetes journey, living messy, complicated real lives with type 1 diabetes. The only common factor is that these people wanted more information to support their diabetes management - and the more information they had, the better they were able to manage their blood glucose. In a sense, of course, this is a self-selecting group. People had to be interested enough, and committed enough to fund the use of the sensors for as much of the year as they could manage. And people who couldn't get on with Libre are likely to have dropped out - but drop-outs and careful selection happen in clinical trials too. So while I don't for a minute imagine that chucking Libre sensors around like NHS-funded Smarties will instantly solve all the T1 diabetes woes in the UK, I do find these real-world data very encouraging and empowering. Living with type 1 diabetes is complicated. And for many people, additional information about what their BG is doing 24 hours a day can go a long way to help them make better management decisions. 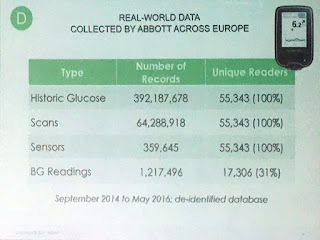 Disclaimer: Abbott Diabetes sponsored my attendance of Dx Amsterdam including flights, accommodation and the programme they organised. They also treated us to lovely meet-and-greet nibbles on Friday night and a slap-up meal on Saturday evening at Amsterdam's Van Pufflen restaurant. I was not paid to attend and I have not been asked to write this or any other post about the weekend or the Freestyle Libre. Newly diagnosed? Read Jennifer's advice. 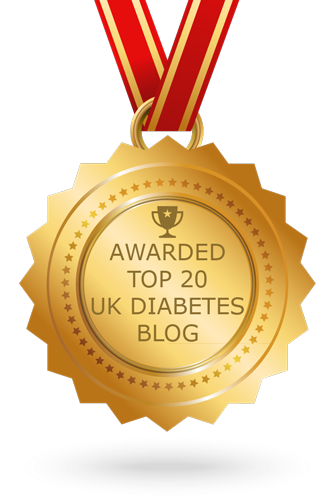 Thanks to Feedspot for listing our ramblings as one of their top 20 diabetes blogs in 2018. 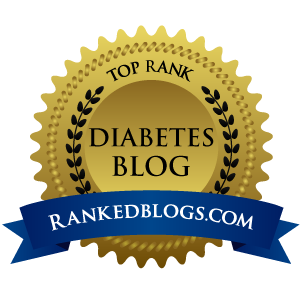 None of the writing, opinions or information contained in this blog should be taken as any kind of suggestion for your own diabetes care. We are not doctors, dieticians or trained diabetes educators and have no medical training whatsoever. If you have questions or concerns about individual health matters or the management of your diabetes, please consult your doctor, specialist diabetes nurse or diabetic care team. Follow everydayupsanddowns on Instagram why dontcha?
. The contents of this blog are copyright of the respective authors. Cookies, Privacy and all that gubbins. Customised and adapted from. Simple theme. Powered by Blogger.